There's so much snow. I have been in boots everyday for weeks. 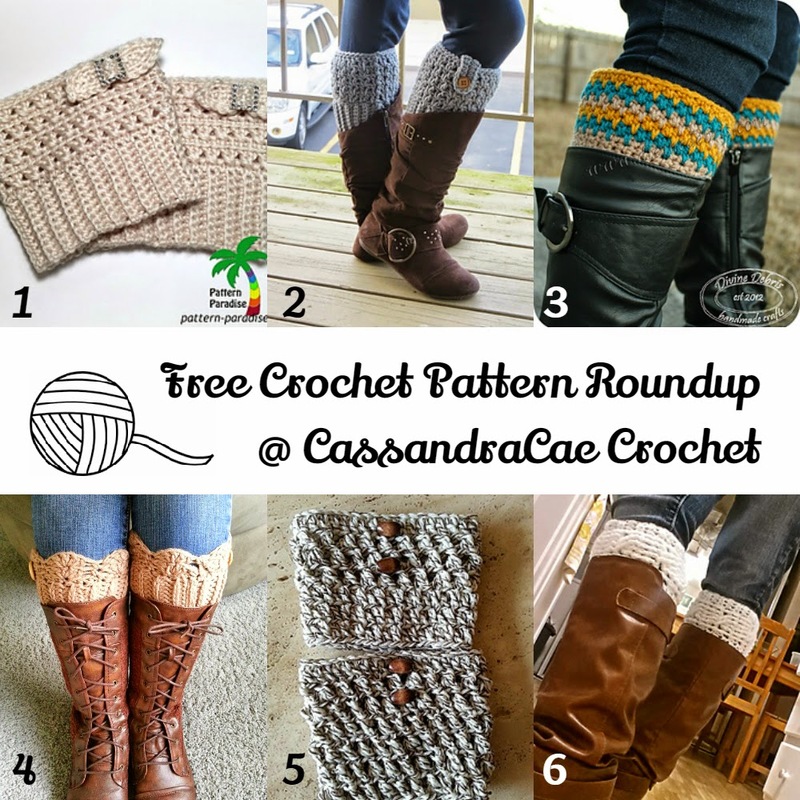 That's why I have decided to put together a free crochet pattern roundup of boot cuffs so we can dress up those shoes that some of us seem to be reaching for everyday. All of these patterns are completely free and available to you at no charge at the time of this post. Boot cuffs are a great project because they are small and do not take a lot of time to work up. That makes them a great gift option as well if you would like to make something for someone last minute. Here is a round up of the latest and greatest Boot Cuff Crochet Patterns, all of which are completely free to you. If you like these designs, make sure you comment on the designers blogs. They love to hear feedback from people about there patterns and designs.